Noguchi Ushu was born in 1947. 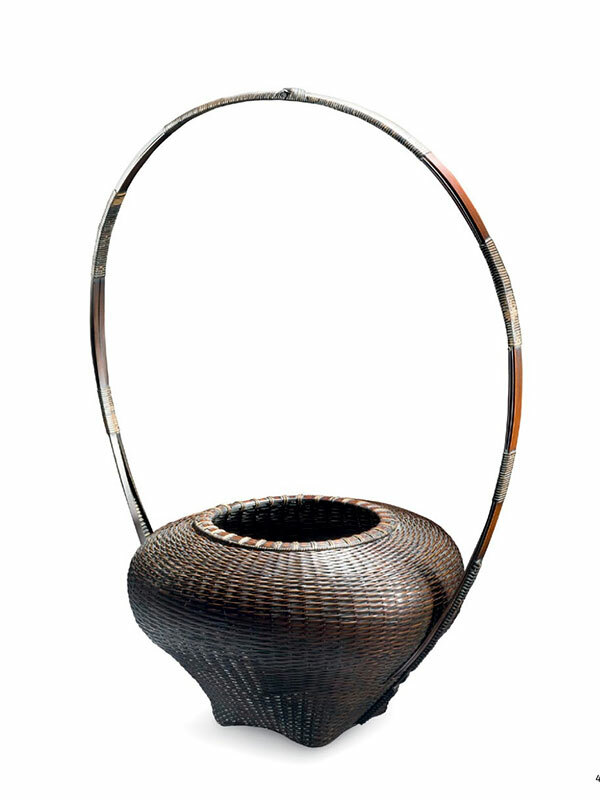 Noguchi Ushu is the third generation, studying bamboo craft and lacquer work with his father and grandfather. He spent much of his time learning how to make Chinese style bamboo baskets. In 1977 he won a prize at the 18th Kyoto Bamboo Crafts Exhibition. During the 1980s he exhibited at several important exhibitions. His work can be found at the Museum of Fine Arts, Houston, USA.